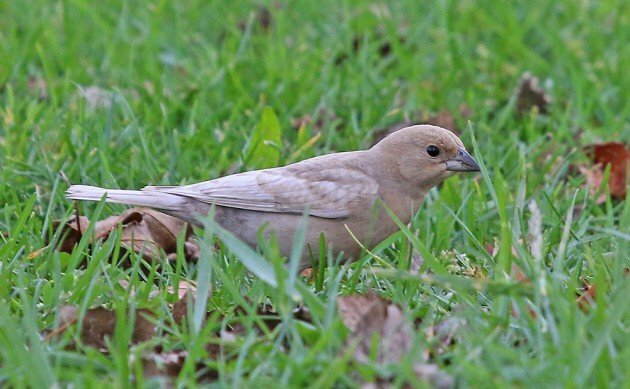 I was sorting through a large mixed flock of Brown-headed Cowbirds and European Starlings at Fort Tilden on Friday morning when Isaac Grant, the intrepid Staten Island birder, showed up and asked if I had seen the white one. 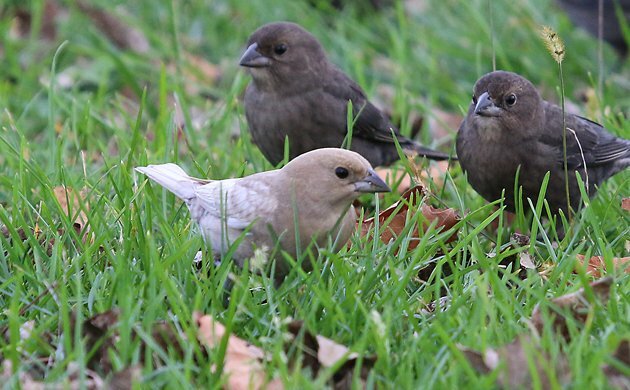 I had no idea what he was talking about and told him so and he then showed me a couple of distant pictures he had gotten of a white Brown-headed Cowbird. He had seen the bird a couple of minutes earlier but then a Merlin had come past and he lost the white bird in the frantic flock. It was a pretty cool looking bird. We birded together for awhile and then parted ways, promising to let each other know if either of us found anything good. 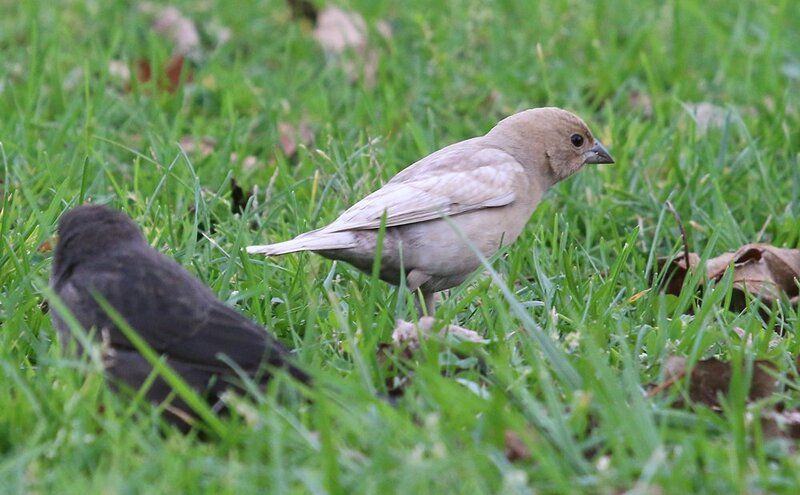 Alas, the only thing either of us found worth making a call about was the white cowbird, which I refound in one of the huge flocks of cowbirds and starlings that have been roaming around Fort Tilden. Yippee! The best bird I could find was a common – and oft-hated – species with weird plumage. Nonetheless it was cool to see this leucistic bird. This is not a terribly uncommon thing to happen to cowbirds. Or, maybe, there are so many cowbirds out there that it is bound to happen to some? I don’t know. What I do know is that a Google image search for “leucistic Brown-headed Cowbird” turns up quite a bunch of results. This individual, however, is more attractive than most. I only managed a few shots before the flock took off and wheeled around for awhile. Though I looked, I could not refind the bird. It’s odd that a white bird could disappear in a flock of black birds so easily, but try as I might I could not pick it out again. Maybe it is a ghost?